No, this is not our family Christmas tree. This is my Christmas Meyer Lemon. Isn’t it wonderful! Family and friends that come for a holiday visit can’t believe it’s real. I put it outside every spring – it flowers with beautiful, white, heavenly scented blossoms. Then in the summer and fall it produces tiny, green, dime sized fruit. 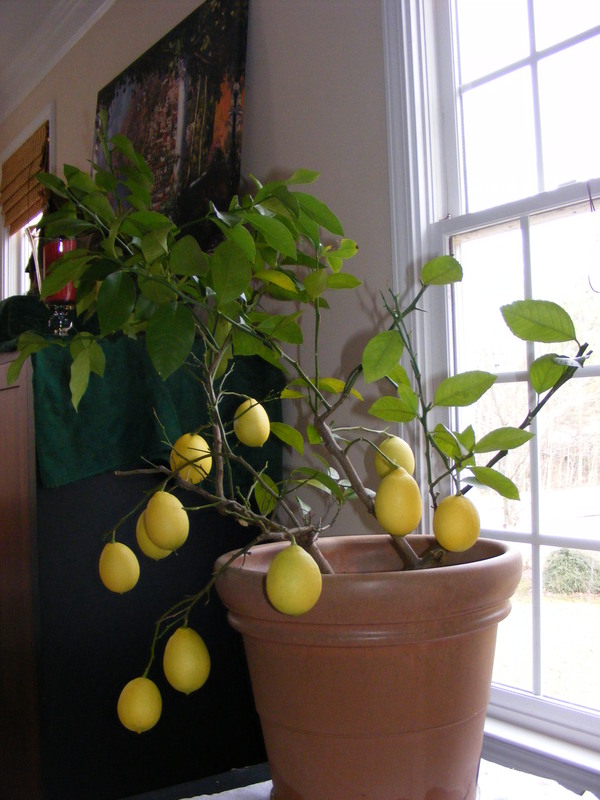 I bring it inside before the first frost and I have 12 – 20 deliciously sweet lemons to enjoy all winter long. Happy New Year from Redhead Garden!